Portland Mayor Ted Wheeler says at least six groups of demonstrators will appear on election night. 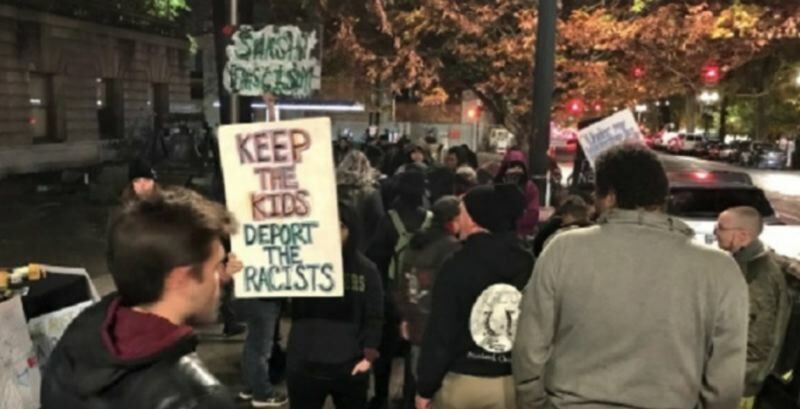 UPDATE: Even before the polls closed, a few dozen protesters gathered outside Portland City Hall Tuesday evening in a peaceful demonstration centered around immigration, KOIN 6 News reported. Around 6 p.m. the first group showed up carrying signs about immigration: "Keep the kids, deport the racists" and "What ICE did was unforgivable. ICE out of Portland, reunite the families." "The group from City Hall is now marching through Chapman and Lownsdale Squares," wrote Cole Miller, a reporter for the TV station. KOIN is a news partner of the Portland Tribune. Chants of "Abolish ICE" were heard — even as a small spread of food was displayed. Patriot Prayer announced in the late afternoon they did not plan to protest in Portland. "We DO NOT have a scheduled event," the group wrote in a statement. "Of course, it is a free country and everyone has the freedom (thanks to those who bled and died to keep our country free) - to do what they want.Personally, I would highly recommend against it. It appears like it will be a mess." At least six separate groups of people are expected to demonstrate in downtown Portland on Tuesday, Nov. 6. Portland Mayor Ted Wheeler says the Portland Police Bureau has reached out to the leadership of the groups in order to start "a conversation." "They have not yet responded. None of the groups have applied for a permit," Wheeler wrote. The planned street rallies appear to be some sort of pre-emptive strike or celebration for the mid-term elections that also conclude tonight. Coincidentally, Wheeler is currently trying to sell a tough new law that would allow him to restrict protesters' actions. The rest of the City Council hasn't indicated if they'll vote to approve the proposal. 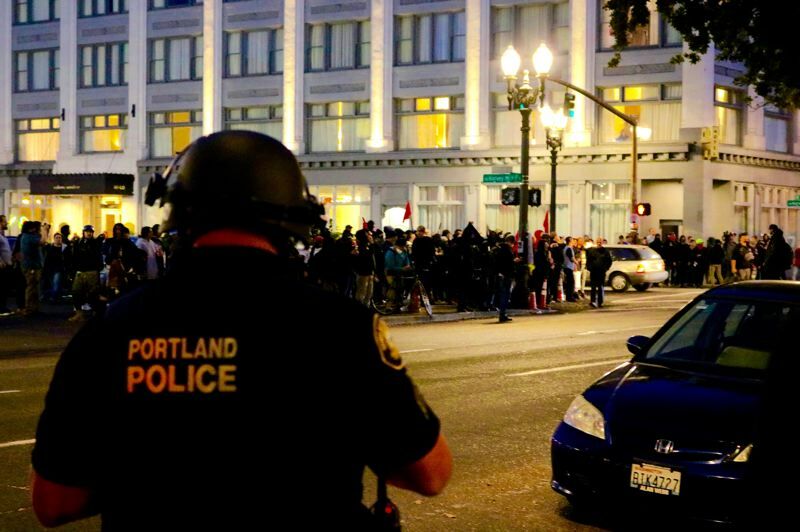 The "Portland Safety Ordinance" would allow the mayor to order protesters to stay in certain areas or protest for set lengths of time. Critics say the proposed law is too broad and that there are already rules against violence and brawls in downtown streets. "This ordinance is about making reasonable precautions, in advance, when we know violent demonstrations are likely," Wheeler shot back recently.